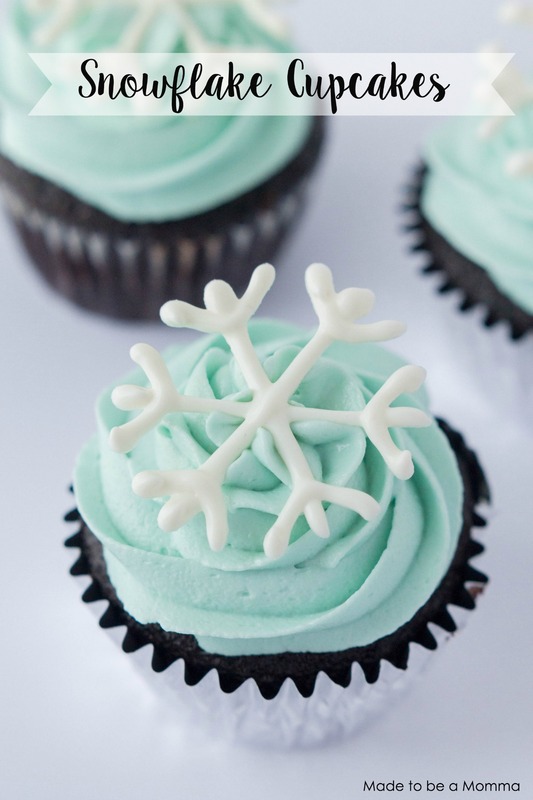 You will never believe how simple these snowflake cupcakes are! All you need is some melting chocolate, cake decorating bag and tip, parchment paper and a clipart to trace. Snowflake template, I just googled “snowflake” template and found one that I liked, opened it in a Word document, sized it down to the size I want my snowflake to be, and printed it! Melt vanilla candy melts in a candy melting electric pot according to package instructions, or in the microwave at 30-second increments. Place melted chocolate in a cake-decorating bag with a #1 tip. 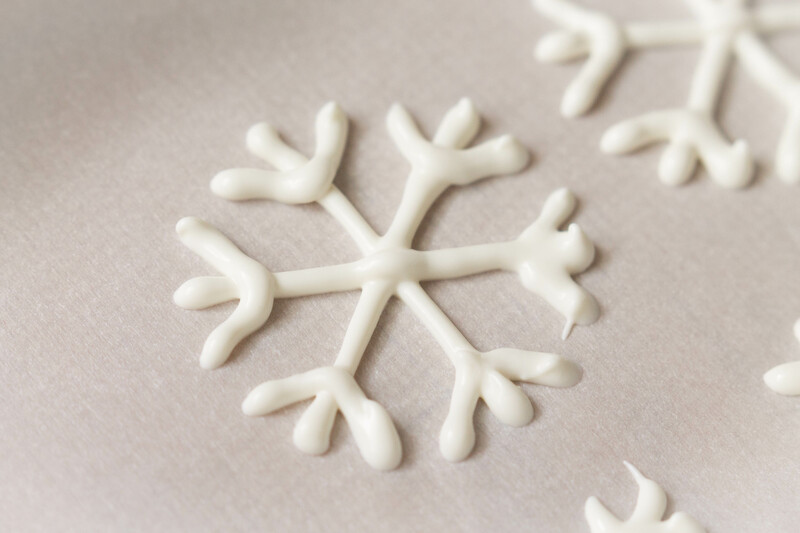 Slide your snowflake template underneath a piece of parchment paper and pipe a snowflake shape with your melted chocolate following the lines. Place in a refrigerator for 3-5 minutes or until chocolate is completely hardened. 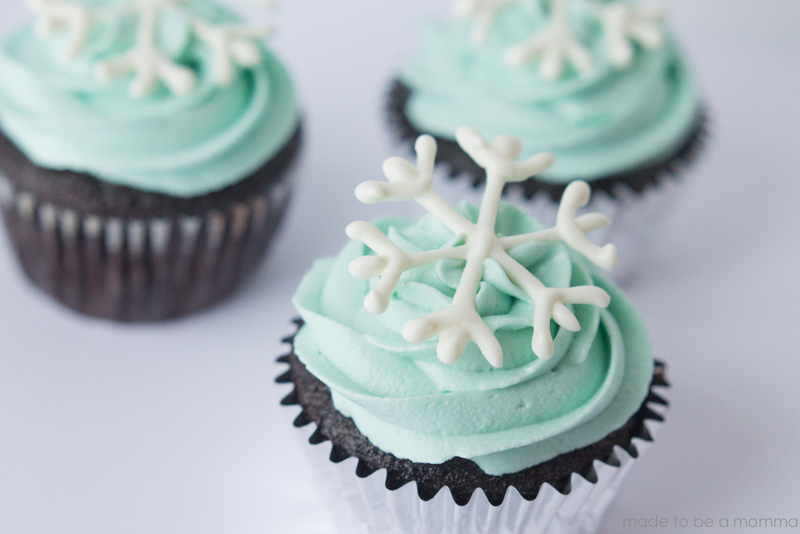 Remove from silpat or parchment paper and carefully place on top of each cupcake.